The family of a Peterhead woman who tragically lost her life have moved a step closer to opening a mental health centre in her name. Shirley McCombie took her own life last August and ever since her death her loved ones have been working hard to set up a facility near her hometown. The mother-of-two was only 37 when she died. Her relatives decided to campaign for a dedicated mental health base in the north-east because the nearest centre is more than 30 miles away at Cornhill in Aberdeen. Now their dream is close to becoming a reality after securing a unit at the Crimond Medical Centre. A drop-in centre known as Shirley’s Space will be set up at the facility in the village and will provide support and information. Mrs McCombie’s family have been busy raising funds for their project with an online crowdfunder bringing in £6,000. A charity auction of sporting memorabilia held between Christmas and new year has now almost doubled that total. 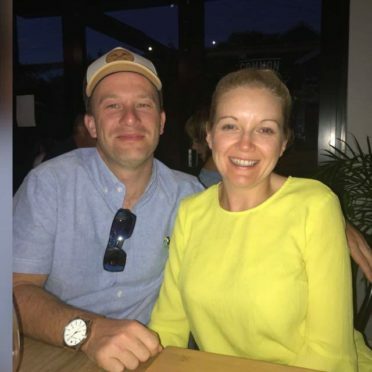 Ivan, Mrs McCombie’s husband, said they wanted to lend a helping hand to anyone who found themselves in a similar situation. He said the centre will continue her legacy. Mr McCombie said: “This has been a very difficult time for us all and we hope that by setting up Shirley’s Space we can offer support for families, like ours who are going through those tough times. “Shirley was always there for others, offering support and guidance to those around her or even just a much needed hug. The project has the full backing of Mrs McCombie’s family with siblings Derek, Ewan and Margo and parents Ben and Phyllis all supporting the initiative. Her nephew Cameron Findlay said the family would have reached their goal even by supporting just one person in the community. Mr Findlay said: “If this helps just one person then we’ve reached our objective. “The great thing about being in the Crimond Medical Centre is there will be no stigma. It is hoped Shirley’s Space will open in April.